Film is composed of a series of 16 one-minute presentations of winners of the State Award for Technical Culture Faust Vrančić for the year 2004. The reward is awarded by the Ministry of Science, Education and Sport, and the winners for 2004 were: Ivan Baćani, B. Sc. in Engineering from Osijek; Boris Bolšec, prof. from Krk; Damir Čović, prof. from Rijeka; Vlado Felc from Kutina; Branko Latas from Zagreb; Ana Majić from Sisak; Marija Novaković from Split; Davorin Novosel, prof. from Zagreb; Đani Pincan from Pula; Milan Utković from Zadar; photographers of the Polytechnic Secondary School from Varaždin; Photo club Split; Croatian Photo Association; Technological Center Ltd. Rijeka and the Railway Technical School from Zagreb. 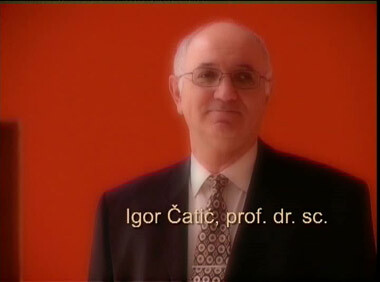 Winner of the Faust Vrančić award for life achievement in 2004 was professor Ph.D. Igor Čatić from Zagreb.